This week, Surfin' wonders what to do when ham radio transmissions interfere with the wireless equipment. Verizon provided me with a Westell Model 327W DSL/router, Stan. It shares desk space with a legal-limit HF/VHF station and I've never had a problem with the station's operationg taking the router down or causing interference to the Internet system. The router does create some irritating, but tolerable, spurs across the HF bands - they are typical of the breed and not unique to Westell. I repairs for a living after retiring on 22 years in the Navy. I would suggest that you get with the tech folks over at Linksys but my feeling is that unless one puts some space between his or her equipment and hardwires the computers vice going wireless you’re not going to have much luck. I was thinking that one might try locating the wireless router in another room and hardwiring it back to the shack. I have used the ubiquitous Linksys wireless router for years with no RF issues. Mine is a "G" model. At my QTH I use an internet connection to Comcast Cable with one of their boxes that also handles my phone service. All of this is located on the second floor of my house next to my wife's computer. My shack is in the basement so I use the WiFi link to get an internet connection from the second floor to the basement. I can run up to 1KW out on 160-6M and have not had the internet connection fail on any band. My antennas consist of a 130 ft. long wire in an inverted L configuration which used on 160-30M, a roof mounted HyGain AV-620 vertical for 20-10M and a 3 el 6M yagi. The long wire goes up the side if the house and then across the top of the house right above the router. The Comcast internet/phone converter box and the Linksys wireless router combo seem to be a reliable combination in an amateur radio environment. At least they are at my house. I do quite a bit of local and long range wireless networking for my day job in Fargo, ND. I’m by no means a ‘pro’ but hold my own…. A number of wireless ISP’s use unlicensed gear that is operating in the same bands as common home wifi. I would ask your WISP what frequencies they use specific to what your CPE (customer premises equipment) is tuned into and then check frequencies in use against your old router. Also….the most common interference with wireless routers is the cordless phone….most of them residing in the 2.4GHz which is in direct competition with 802.11b and g…..g being the most prevalent wifi band in use today. 802.11a uses 5.8ghz…also in the same band as many cordless phones, but fewer wifi networks so it tends to be more open for computer use. The new GHz cordless phones don’t conflict at all (yet…lol). If you happen to have a old PC and an atheros based wireless PCI card, I would suggest that you surf for ‘mikrotik routerOS’. Its an operating system that is a great linux wireless router and is becoming wildly popular in 3rd world countries and around the world since it is so low cost and reasonably simple to implement for how robust it is….and it has some cool utilities like a ‘tada!’ Wifi spectrum analyzer. RouterOS isn’t free, but you get access to the full version for 24hours of uptime…plenty for a week or so of toying around in the evening. locked up. I have an SG-230 tuner at the feed point so I can tune it on all HF. So far, operation on all HF has never bothered it. every time I was on 160 meters. I was only running 100 watts and their modem/router was 300 feet away! The outer case can be wrapped in aluminum or copper tape for for extra shielding. When I set up my home wireless, I anticipated this issue. So, what I did was to bring my DSL line & router to the family computer, a distance away from the ham shack. In the shack I use a laptop with a wireless connection. No problems, as the wireless router is away from the shack & my legal limit amplifier. Perhaps the person should try that, instead of having the router itself in the shack with so much high power RF floating around. 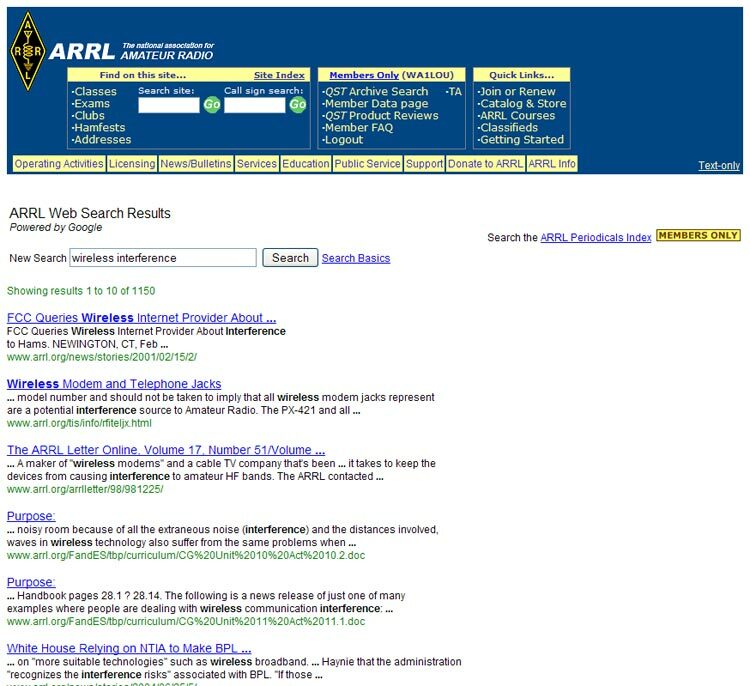 I saw your post on the ARRL site. I am currently studying for my Technician license. I am employed as a Project manager in a Technologies company S&F Technologies www.sftech.biz . I have fairly extensive knowledge of WI-FI networks and networking in general. This is of some interest to me so if i could offer some help i would like to offer. Does your WI-FI network go down? slow down Etc. When you say that you switched from Satellite to WI-FI, this confuses me. Generally WI-FI is an Add-on to another Broadband technology such as cable modem, DSL and satellite. Are you using a municipal provided WI-FI service. Hi Stan. Leaving aside the question of security (wireless routers are much more difficult to secure than a wired router, some would say impossible), check the power supply of your router. Far too many devices today use cheap switching power supplies that not only cause a lot of RFI, but also cannot reject strong RF from outside sources. And then there is the best solution, don't run an amplifier! GM...................I to kill my router when I transmitt on 160-80 and 40m.....................Overhead phone line about 20ft long from a pole to the house. direction. Let me know what you think. You've touched on a sore spot! A little over a year ago I switched from dial-up (I know, I know!) to a wireless ISP. I've had some issues when I'm QRO. At the time of service, I turned in a trouble report, and, to date, am still "on ignore". The CAT 5 cable from their dish on my tower to my wireless router is UTP. 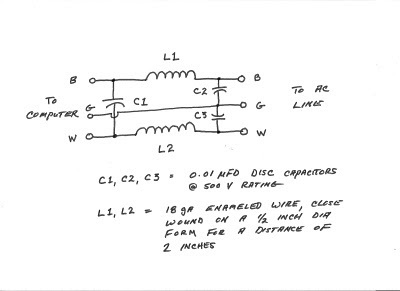 I contacted the ARRL Tech Services folks, and they suggested common-mode chokes at both ends. I live with the issue. The broadband is worth the hassle. Unfortunately, the local phone company is not interested in providing DSL to an older subdivision. Hopefully, a fiber initiative to which our city is party will bring relief, but it is a ways out. My real problem is getting into my wife's wireless mouse, HI. I'll watch your column on the web for magic answers! 73 de bill n7ie .. . I have had very good luck using the Sonicwall TZ-180W. It is pricey though. Your reader may also want to consider relocating the Belkin wireless rourter away from the shack and antennas and running a good quality Ethernet cable from the remote location back to the shack. Saw the article on ARRL.org speaking of your interference problems with a wireless router. I am using a Linksys WRT54G. The router sits on the top shelf of my desk, about two feet from my HF rig and three feet from the SB-220 amp. I'm running dipoles out back and they are maybe 30 feet from the router. Absolutely no problems here. You didn't provide any details about what you connect to for internet service since disconnecting from satellite. I am on a cable modem. If I was going to have a problem, I would suspect a harmonic of the HF signal getting into the cable system and interfering with the upstream carrier in the 20-40 MHz region. Ive always found the metal enclosed routers to be more robust in RF environments. Most routers these days seem to be housed in a plastic shell, offering little RF shielding to the internal crcuits. The article states that the case is grounded, so I am assuming it is a metal case, otherwise, the grounding didnt accomplish much. A bandpass filter on the antenna port will help if there is RF ingress into the antenna port of the router. This might be a stretch, but perhaps when the amplifier is running a large load is put on your electrical service (or atleast the breaker-circuit that the amplifier and router are on) and the voltage drops to a point where the router is not being supplied sufficient energy. This doesnt seem likely as most routers run off of 12v or 5v supply. The wall adapter is probably a small switching supply, capable of handling low AC line levels. Perhaps the RF field is ingressing here, disrupting the performance of the switching supply? The ferrites would not be helping in this case, as the RF is not being induced in the DC cord between the power supply and router, but in the power supply itself. Try a different power supply, perhaps one with better shielding. These are things that need to be explored more carefully, perhaps just moving the router to a different outlet or to a different room? My Belkin WiFi link to a remote printer is a load of C**P.........I'll be getting my money back !! We are also having major interference problems with British Telecom plug-in " Comtrend" home poweline devices. The FCC seem to be more proactive with interference problems than our " OFCOM "
Best of luck with your Belkin router. I have a wireless router within 5 feet of my rig and about 25 feet from my outside antenna. I find that I have more of a problem with my old style CRT computer monitor than I do with the router interfering with my rig. The Belkin and D-Link routers are “low end”. They have little protection against EMI or RFI. He should be sure his ROUTER and Wireless Modem for the WiFi network are BOTH plugged into either an APC UPS or another brand with a REAL RFI filter on the surge protection – not radio shack or Lowes. That should improve the situation. The IF in the Router and the Modem both use 40 MHz oscillators … most are not crystal controlled and are wobbly technique oscillatiors and sensitive to RF excitement changing the parameters of operation. Some toroids, good grounding might make the Belkin work. He is better to buy a commercial grade CISCO (Linksys makes ONE) or 3COM router in a METAL case with good Faraday shielding, make sure his power is filtered to the router setup and should work ok.
A year or two ago, in a drawing at a Network World meeting, I wont a Juniper router/firewall/Wireless access point. Its case was entirely metal - no plastic at all. Hi Stan.. I found this an up to date concern and as my radio equipment and computer with the WIFI routre right beside it I was wondering too? I read the article on the ARRL website about RF getting into you wireless router. I personally hard wire all my computer accessories to avoid RF issues as well as maintaining security; folks have been known to park at the curb in front of your house with a laptop and some decryption software and “read” what’s going on with your computer via your wireless network. You might try what I did to resolve an issue with my newly installed U-Verse residential gateway. After the technician finished the installation I asked him to wait while I fired up my transceiver. Sure enough, 50 watts and the gateway lost sync and all the services went dead. After a day and a half and three different ATT “experts” tried to resolve the problem they gave up on a Friday and said they would be back Monday to put me back with my old providers of internet, phone and television. I really liked the features that U-Verse provided so I tackle the problem the next day myself. After connecting and disconnecting CAT 6 cables, coax feeds to the TV’s and running the gateway on battery back up, I determined the RF was not getting into the gateway via any hard wired connection. It was RF radiated directly into the plastic encased box. I remembered I had some left over aluminum window screen lying around so I measured the dimensions of the gateway box, made a pattern and folder up a Faraday shield the gateway could slip into. I stapled all the joins after making the folds and then attached two machine screw studs, one on each side of the screen. I then attached a #10 braided copper pigtail to each of the studs and then attached the ends of both pigtails to the ground lead (about a #6 gauge) of the 240 volt feed that supplies my linear amplifier and homebrew AM transmitter. PS: If you decide to do, this make sure the power to the circuit is shut off before you open up any electrical box. I slipped the residential gateway box into the open end of my screen enclosure and fired everything up. I transmitted with 50 watts and ramped up to legal limit starting with 160 meters all the way up to 10 meters, the gateway never missed a lick and has operated perfectly ever since. I call ATT the following Monday and told them not to bother coming out, I had solved the problem. If you have any computer generated noise getting into you receivers, try using a “brute force” filter in line with your computer power cord, it worked for me. So your on 900 mHz as well as your other duties? Put a cell phone on top of a new GE Profile Cooking Range ……. Cell phone packet emissions will trigger the oven according to a CNN Tech report. If I run over 500 watts on 40 meters, same problem while nothing else in the house has problems including the GE Profile Microwave, TV, and Satellite. My Linksys WiFi LAN and UPS are fine and are located just inches from the coax. When I transmit on my CF Zepp with 100 watts it knocks the SBCGLOBAL.NET DSL out. It resets in about 30 seconds. My G5RV antenna doesn't. I have called AT&T technical service department and they have no clue what I am talking about when I asked if they had some RF chokes I could install on the telephone line. I have tried winding coax chokes around the telephone cable and winding the phone line into a choke but nothing seems to stop the R.F. from getting into the modem. I have tried just about everything I can think of to solve this problem. 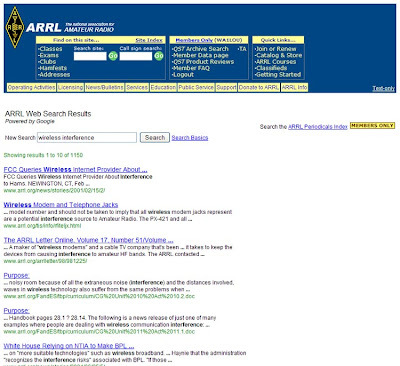 There is nothing in the ARRL library that I can find about DSL R.F. qrm. I just live with the problem until the house is rewired with optic cable. Let me know if you discover a solution to this problem. Try locating the router in another room outside the shack. I use all wired internet because my home's construction does not lend itself to reliable wifi. However, I have noticed that many of the routers and switches out there cause unbearable noise on 2 meters. Whenever I have need to use a 2 meter HT in the shack, I have to unplug the switch, otherwise my receiver is overpowered. I have a Linksys switch. Stan...I had problems until I took the antennas of the router(s) out of the ham shack (where all the computer hub stuff was) and put them on a "proper" ground plane, made sure the pole the wifi's were on was seriously grounded AND worked on the power supply cables. I dont know "which one" did it, but I suspect it was "little by little". The Power supply cable was pretty big in terms of number of problems it solved. I got rid of the "walwarts", got a proper 15 volt supply built a solid 12 volt regulator and used some bypassing as it went into the wifi routers. Zero problems now even with a killowat 160 through 440....also (for what it is worth) my 2.4 ghz system cleaned up on noise with all of that. If I can help. It sounds like you are using WiFi as supplied directly from a provider rather than a WiFi router connected to dsl or cable. Since WiFi was designed as a short-range indoor system, when it works successfully as a carrier platform it is definitely the exception, and will usually fail as more subscribers come on board or other equipment (including ham gear) is located nearby. Remember all the "Municipal WiFi" projects that were hyped up a couple of years ago by all the blowhard scammers? What ever happened to those? Adios! Building an outdoor carrier platform with Wifi is similar to building a cellular phone system by putting cordless phone base stations at the top of a tower and passing out cordless handsets to your subscribers. I use a Linksys wireless "WRT54G" router wired to my main computer and wireless to my laptop, located in my shack. The router is also located in my shack. I don't have any ferrites or extra shielding of any kind on the router or the modem. The router is conected via an ethernet cable to a Motorola cable modem. I've run my amp as high as 1200 watts out and haven't had any problems with the wireless router dropping a signal. I do have ferrites on my coax coming out of my amp.